If some ones feels the need to drink lots of water, most of time reason is usually known . For example, not drinking enough of it. But some times there can be more sinister mechanisms and need evaluation. There can be number of diseases, which can present by excessive thirst. This derangement is more other than merely being dehydrated. If drinking more fluids for several days hasn’t helped, there can be reasons other than dehydration. If some ones feels the need to drink lots of water, most of time reason is usually known . For example, not drinking enough of it. Dehydration occurs if some one does really hard work in the ground or sweating in the sun. The loss of fluids need to be replenished . Dehydration commonly happens, in cases of food poisoning , diarrhoea, vomiting, inability to eat or drink and loose motions. One of the most important symptom of diabetes is thirst. All types of diabetes will present as increased intake of water and being thirsty. Frequent urination, another common symptom of diabetes, will bring on thirst. Therefore excessive thirst and urination, along with unexplained weight loss, fatigue, or irritability, can be indications of diabetes. The abnormal dryness of the mucous membranes in the mouth, due to decreased flow or change in the composition of saliva. It is also known as xerostomia, is often mistaken for excessive thirst. Causes of dry mouth include smoking tobacco, use of marijuana, stress, anxiety, or aging. But certain drugs (antidepressants) and autoimmune diseases can also cause dry mouth. One may think being thirsty, whereas actual reason is having a dry mouth. Estrogen and progesterone levels can both affect fluid volume. If blood flow is more, it can also cause more blood loss. The blood loss will cause increase in thirst. When the thyroid function is deranged , hormone production is erratic can, produce increased or less e hormone. Thyroid dysfunction can spur a variety of nonspecific symptoms, including abnormally heavy periods, anxiety, feeling hot, and dry mouth. These all can lead to increased thirst. Stress or specially chronic stress is a cause for adrenal gland dysfunction specially if stress is severe. This can cause dizziness, depression, anxiety, and severe thirst. Drugs that produce lot of urine are diuretics. They can cause feeling of thirst. Foods that have a diuretic effect can make you thirsty because they cause you to urinate more. Foods like melons, ginger, celery, asparagus, beets, lemons. One of side effect of Keto- diet is thirst. The eating plan significantly cuts down on carbohydrate intake. Carbohydrates s absorb more water than protein and fat. Ongoing or sudden blood loss, can cause thirst levels in order to make up for the fluid loss. Diabetes insipidus is a rare disorder that affects water absorption. It can cause loss of huge amounts of water by production of litres of urine. Cause can be brain or kidney called as central and nephrogenic respectively. Psychogenic polydipsia: this is an urge to drink more water and patients are unable to control the urge. Patients may have intake of many litres per day. Usually the kind of work of doctors keep them on toes and it is difficult to have leaves. This may be a global phenomenon. Medical systems also are not very comfortable with doctor’s leaves. Scarcity of doctors and difficult replacements makes life of doctors busy and unsocial. Systematic denial of genuine leave has been proved by investigations at Tokyo medical school. A Tokyo medical school has confirmed after an internal investigation that it systematically altered entrance exam scores for years to keep out female applicants and ensure more men became doctors. The school wanted fewer female doctors because it anticipated they would become mothers and would shorten or halt their careers. It is extremely important to improve the working environment so that women can pursue their medical professions. School’s purpose in denying women entry was because female doctors often quit working after starting families. Women tend to avoid tough jobs like surgery or work in remote areas. They need to take a break from their careers because of pregnancy and childbirth. Tokyo Medical University manipulated all entrance tests results since 2000 or even earlier. The findings released Tuesday by lawyers involved in the internal investigation confirm recent reports in Japanese media. The manipulation surfaced during an investigation of an alleged wrongful admission of a bureaucrat’s son. The internal investigation found the school first reduced all applicants’ first-stage scores to 80 percent then added up to 20 points only to male applicants with three or fewer application tries. The school wanted fewer female doctors because it anticipated they would become mothers and would shorten or halt their careers. Japan’s government urged a medical university to promptly disclose the results of an investigation into its admissions process Friday after reports alleged it had altered the test scores of female applicants for years to deny them entry and ensure fewer women became doctors. The school’s public affairs department said it had no knowledge of the reported manipulation but is investigating. The school is already facing a separate scandal involving the inappropriate admission of a top education bureaucrat’s son and was ordered by the education ministry to investigate its admissions records for the past six years. On Thursday, the school said it will combine the examination of the score manipulation allegation with that probe. The share of female doctors who have passed the national medical exam has stayed at around 30 percent for more than 20 years, prompting speculation that interference in admissions is widespread at Japanese medical schools. Admissions records released to The Associated Press by the school show the percentage of women who passed the entrance exam rose from 24 percent in 2009 to 38 percent in 2010. The figure has since stayed below that level until decreasing to 18 percent this year, when a total of 171 students passed the exam. The ratio of female applicants who were accepted this year was 2.9 percent, compared to 8.8 percent for men. MBBS debt trap for many Private Medical College Seat (MBBS)-Debt Trap For Many. Mirroring the US situation, where medical students come out of the education system with huge loans to repay, India’s medical education is becoming a debt trap for thousands of medical students with governments doing little to regulate medical college fees. High fees in most medical colleges means that students who have to take loans to pay it cannot hope to service the loans from what they earn as doctors after completing MBBS. Here’s how the math works. Annual tuition fees in private medical colleges average over Rs 10 lakh. That’s half a crore rupees or more for the entire course when charges for things like hostel, mess, library, internet and examinations are included. The EMI on an education loan of Rs 50 lakh works out to at least Rs 60,000. Government salaries for an MBBS graduate range from Rs 45,000 to Rs 65,000 depending on the state and area. The private sector is even worse. Usually, the loan carries an interest of 10% to 12.5% and has to be repaid within 10 to 12 years. If education loans become prohibitive, it could make medical education the preserve of the rich. A TOI analysis of fees charged in 210 private medical colleges in 2017 showed that about 50 charged anything between Rs 10 lakh and Rs 15 lakh and over 30 charged even more. Several government colleges too charge high fees, especially in Gujarat and Rajasthan. After 4.5 years of MBBS, a student has to do a one-year paid internship, during which time his/her salary would be at best Rs 20,000-25,000 per month. For those without means, that would entail a loan of Rs 12 lakh to Rs 30 lakh and hence unaffordable EMIs. Reluctance of candidates to wrap up expensive medical college seats is just an indicator of aspiring medical student’s better understanding of the cruel reality about medical education. Becoming a doctor is not easy these days. Paying crores is like getting into a trouble zone and getting yourself entrapped into a system of exploitation. It may be alright for candidates who are from rich backgrounds. But for the candidates whose families are not strong financially, it may be self bought disaster. Steep rise in fee of medical colleges has been huge, beyond logic and is injustice to the meritorious. One advantage of inappropriate media bashing of doctors, recent assaults against doctors has given some wisdom to innocent students, who used to just enter into a system of entrapment unknowingly. 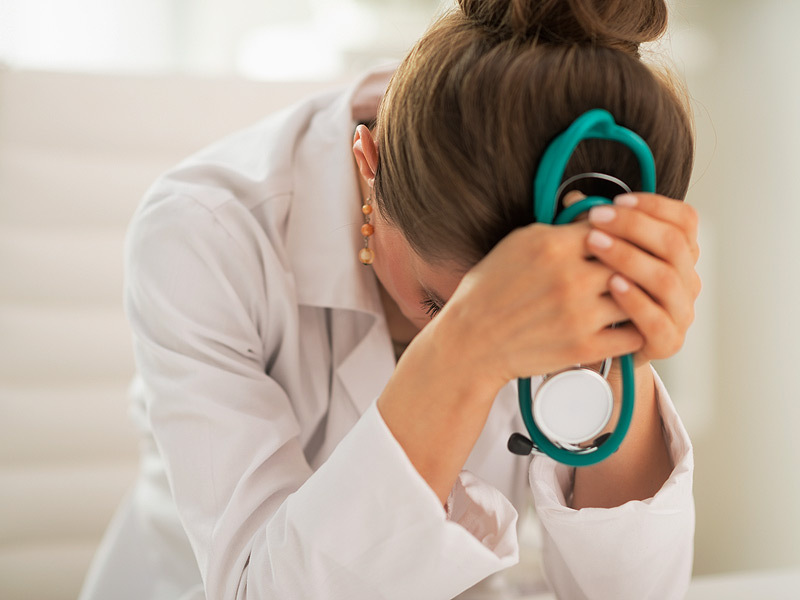 Choosing medical career and then trying to place your feet into post graduation, spending crores in all these situations is akin to falling victim to a system of entrapment. Some one paying for it in millions and crores is an absurd thought and highly ill advised. For the candidates who are not financially strong, it may be difficult to even recover the money spent, what to say about the time and youth wasted in getting a degree which may or may not be that worth. Therefore it may become dream turning into nightmare for the people who can not afford. Lower merits combined with not so good medical colleges may produce thousands of degree holders but not good doctors. Recent sporadic campaign of stray cases projected as generalization by media has definitely diminished respect for profession. Individually most of the doctors may be working hard honestly but they are uniformly painted in the same colours due to misplaced priorities of the media. Society has already developed a prejudiced mind towards doctors. Since these projections are created by outside agencies, doctors even with hard work and doing work honestly may not be able to change the perception that has been created. Damage to profession has been immense and it is nearly impossible task to reverse the mistrust generated and undo the damage. If individually doctors are doing good and media continues the negative projection, the sad situation will persist. All efforts by doctors in this direction are like oil on the sand. In nutshell, this toil and trouble for years, buying a seat, paying millions or crores and becoming a doctor does not save you from vulnerability of court cases and wrath of public. Rather suboptimal training and capabilities makes them more vulnerable to problems. It may be alright if some one with strong financial background decides to be a health manager or administrator. Real problem of mediocrity remains as such. Candidates with higher merit will be left behind as candidates who can buy and pay more will get in. This process will be called as “lawful selection” along with diluted merit .This process makes count number of degrees distributed under various conditions attached to it other than merit. But just number of degrees will not provide better doctors for future.